Sketches of Canada for February 2nd! 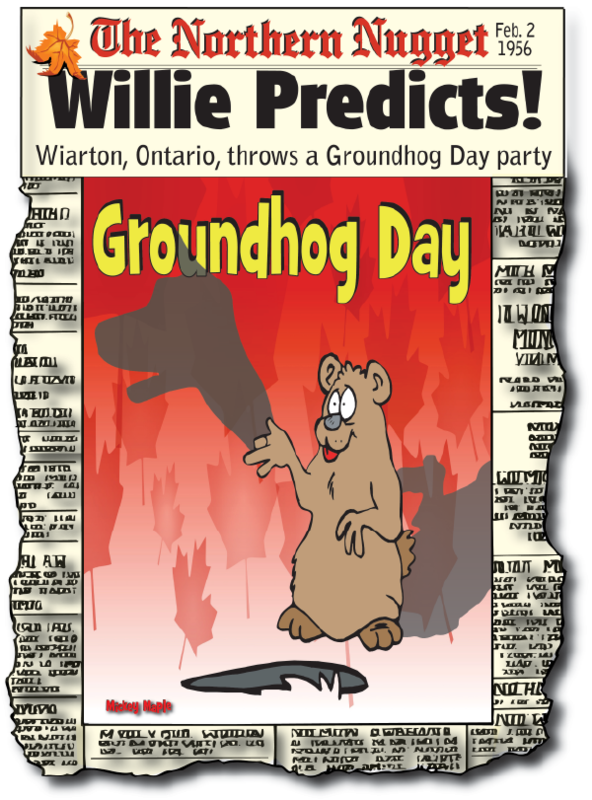 February 2, 1956 – Mac Mackenzie, sent out a press release inviting people to Wiarton for a Groundhog Day party. This Canadian History for Kids exclusive, looks at Wiarton Willie. It all began on February 3, 1956, in Wiarton, Ontario. A Wiarton resident named Mac McKenzie sent out invitations to his many friends for Groundhog Day celebration. A Toronto Star reporter got a hold of one of the invitation and travelled to Wiarton looking for the celebration. He was directed to the Arlington Hotel, the local watering hole where he found McKenzie and his friends celebrating and was invited to join them. The next day, when the reporter complained that he needed some kind of story to take back, McKenzie grabbed his wife’s fur hat, which had a large button on the front, went out to the parking lot, dug a burrow in the snow and pronounced a prognostication (which no one remembers). The picture of Mac and the hat ran in the February 3, 1956 edition of the Toronto Star. A year later, almost 50 people arrived for the festival. Half were reporters from various media, including the CBC and the Canadian Press. McKenzie’s Groundhog Day celebrations have grown over the years and is now a major celebration, with dances, parades, hockey tournaments, curling bonspiels, darts and snooker tournaments, and sleigh rides. Today approximately 10,000 people come for the Wiarton Willie Festival celebrations. Wiarton Willie himself appeared on the scene in the 1980s. Wiarton Willie is an albino groundhog who has an impressive 90% accuracy rate with his predictions, which his followers have said this is because he was born on the 45th parallel, a midway point between the Equator and the North Pole. According to folklore, if a groundhog sees its shadow on Groundhog Day, it will scurry back to its burrow, signalling six more weeks of winter. If there’s no shadow, it means spring is just around the corner. And that’s this week’s Canadian History for Kids, exclusive! Please Note: There are no refunds on our products. 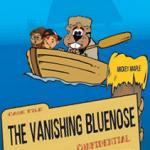 © 2012-2019 Canadian History for Kids!. All Rights Reserved.